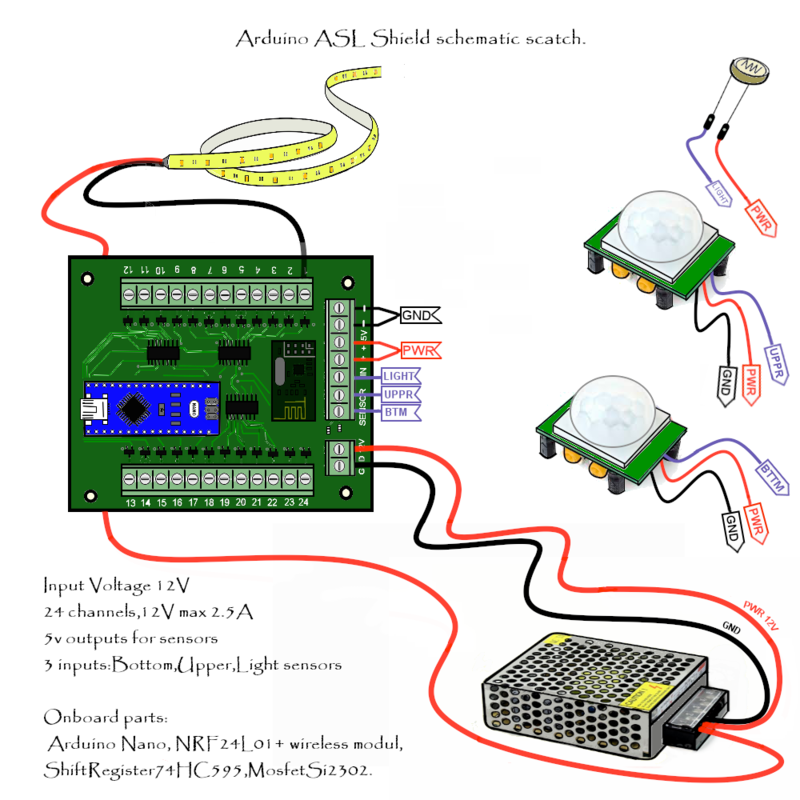 Arduino ASL shield is designed to build an automated stairs lighting system. Can be connected wirelessly with more than 20 of the leading home automation controllers on the market. Ready to use sketch is included. * up to 24 stairs setup availability. Bake a PCB by your own or order an assembled one . Follow the schematic sketch bellow to wire it up. Download a sketch from this project page. ( Two options: choose sketch 'ForASLMysensorInkluded' or 'ForASLOnlyLightSensor'for controlling day/night mode. Upload the code to Arduino Nano. Insert Arduino to ASL Shield.